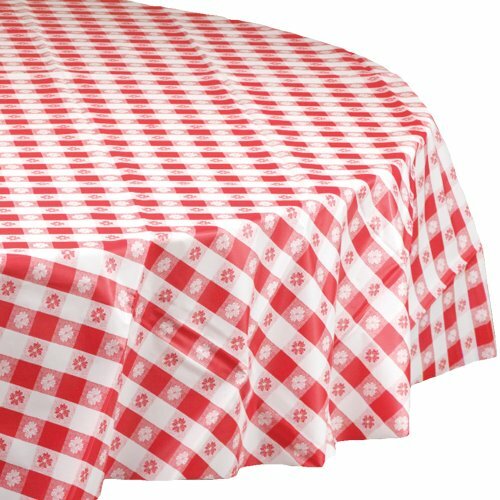 Hoffmaster round tablecover. Made of plastic. Red gingham color. Size: 84-inch diameter.